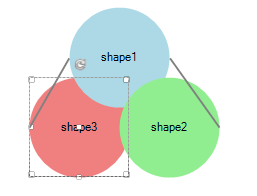 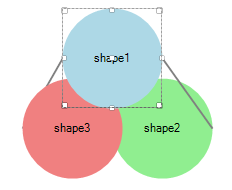 RadDiagram gives you the ability to control the Z-Order of shapes and connections by using their ZIndex property. 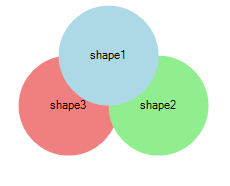 You can also use RadDiagramCommands in order to increase/decrease ZIndex of the selected RadDiagramItems simultaneously. 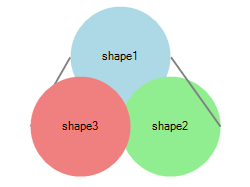 We have reversed the natural ZOrder of the 3 Shapes.